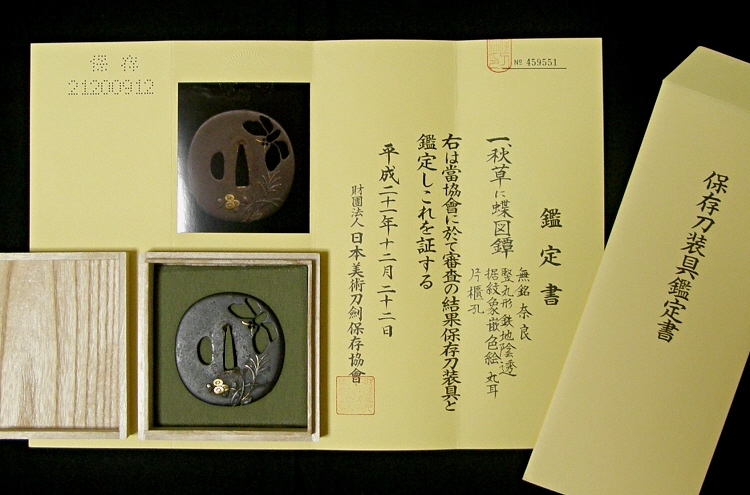 There is a Hozon Tosogu Kanteisho (certificate) issued by Nihon Bijutsu Token Hozon Kyokai (NBTHK) on December 22 of 2009. 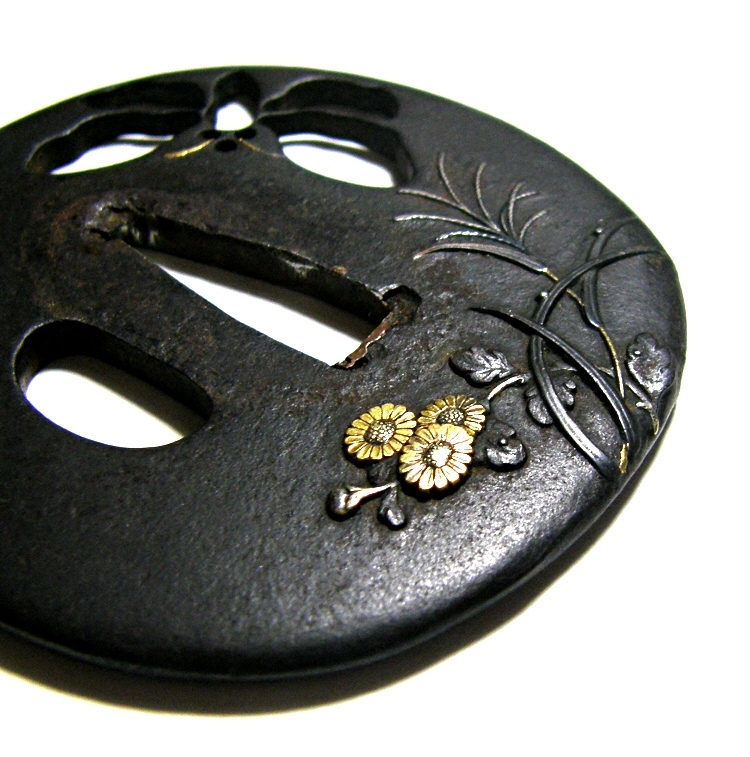 According to the Kanteisho, this sword guard was made by a craftsman of the Nara school in Edo. 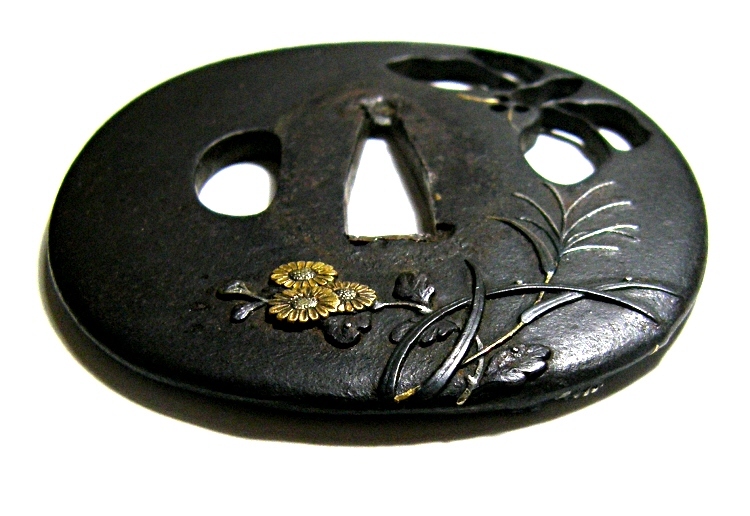 The tsuba is a little rusty. 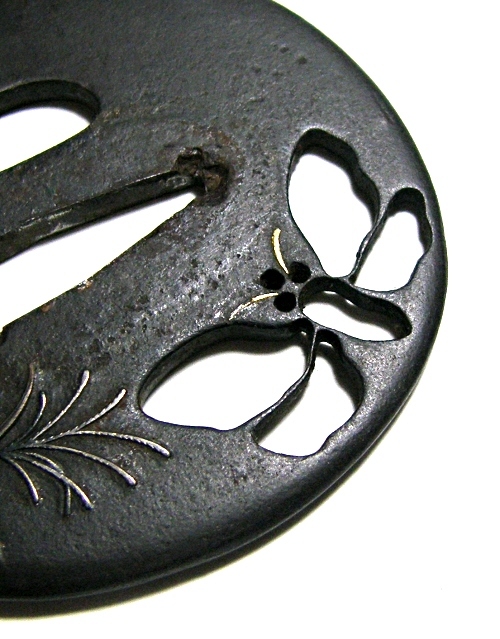 A butterfly is expressed in the In-Sukashi openwork method. 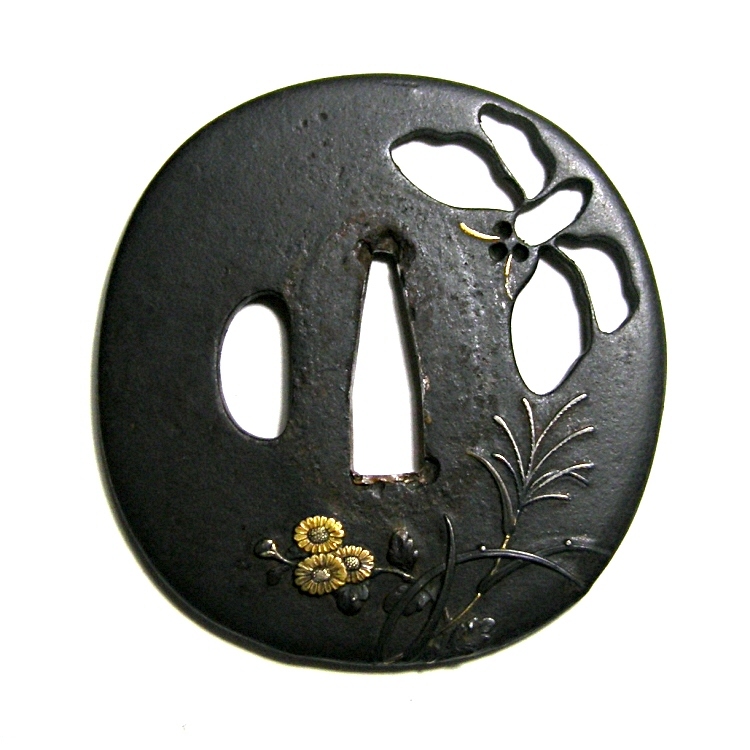 Autumn flowers (Kiku, Silver Grass) and the butterfly are expressed in the Suemon Zogan and Iroe inlay methods with gold, silver and Shakudo alloy. 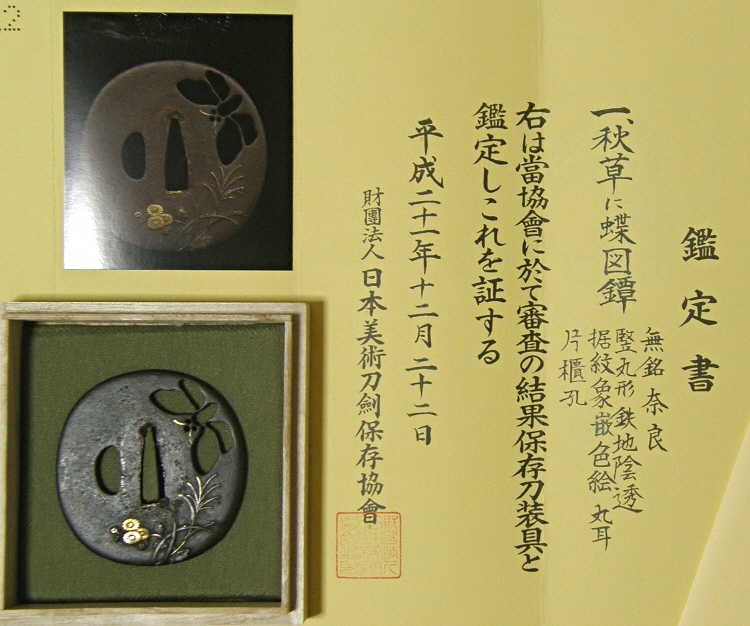 The rim part is in the Maru-Mimi shape. Those motifs are expressed elaborately with the highly advanced skills. 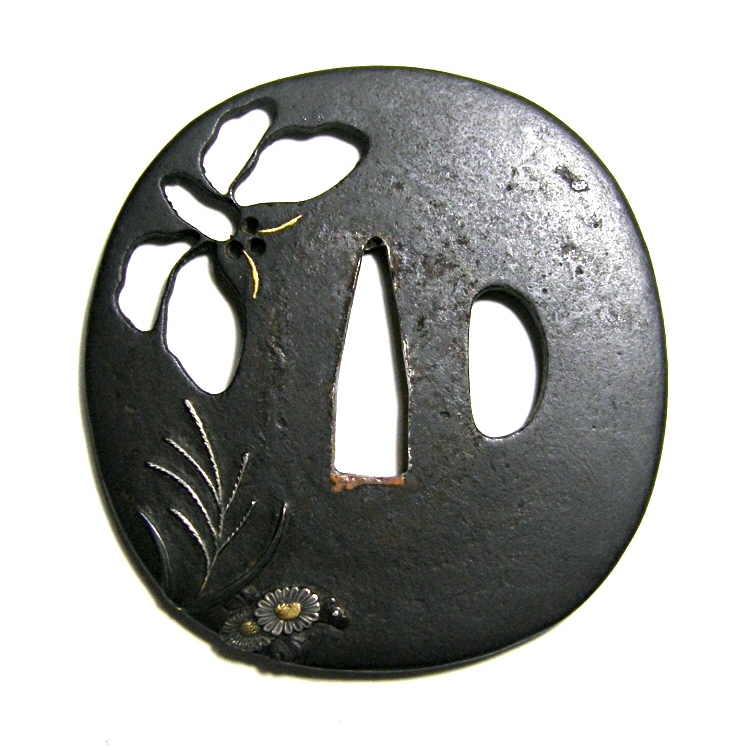 Very good looking tsuba ! 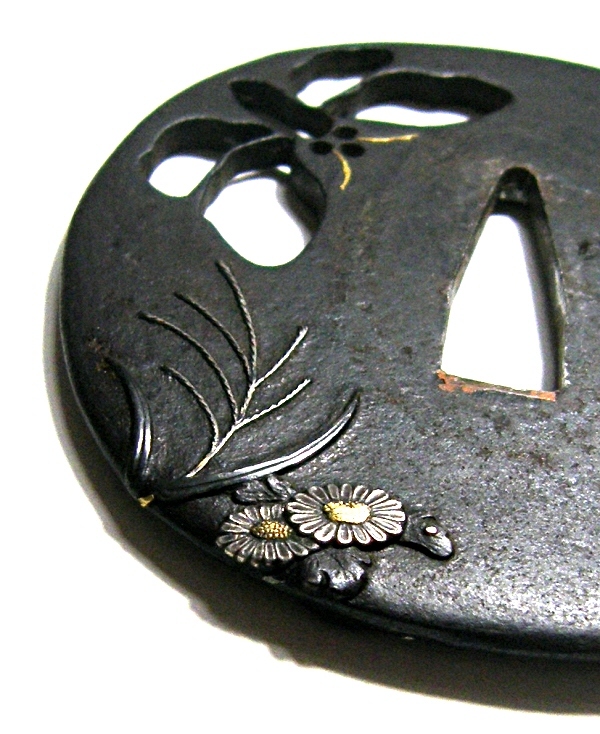 Susuki (Silver Grass) and Kiku flowers are expressed in the Iroe inlay method with gold and silver. The motifs are expressed in the Zogan inlay method. 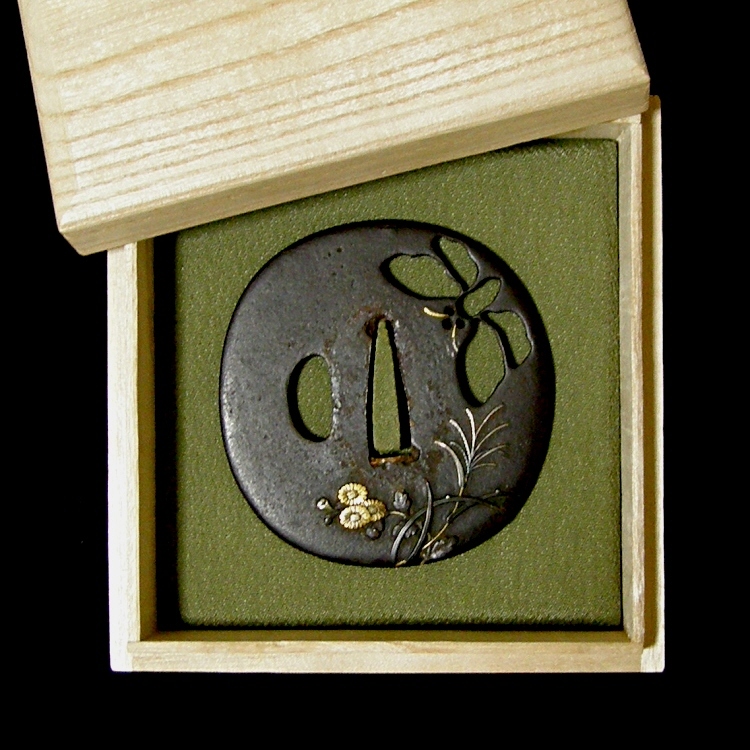 The butterfly is expressed in the In-Sukashi openwork method.